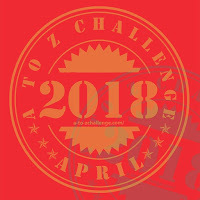 As I mentioned a couple of weeks ago, The Daily Parker will participate in this year's Blogging A-to-Z Challenge. Today's the official Theme Reveal day. My topic will be: Programming Concepts using Microsoft C# .NET. ...and will finish with a real-world practical example on April 30th. I will also keep up my annoying political and Parker posts through April. And, full disclosure, many of the 26 A-to-Z posts will be technical and more involved than just linking to a Washington Post article. Because of that, and because I want a consistent publication cadence, I'm going to write them ahead of time, even if it's just the night before. A-to-Z posts will start at noon UTC (7am Chicago time) on April 1st and continue through the 30th, with Sundays off. You can find them directly through their A-to-Z Tag. Enjoy! As of just a few moments ago, I passed 1.5 billion seconds old. Yes, this is a thing most people don't really think about, but as someone who works in software, this actually has some significance—and another Y2K problem that will occur just a few months before I get to 2.0 Gigaseconds (Gs) in 2038. The problem is a thing called the Unix epoch. Computers can only count as high as they have bits to count. Unix computers, which include Macs and most of the infrastructure of the Internet, count time in seconds from 1 January 1970 00:00 UTC, which was (at the moment I'm typing this) 1,521,383,994 seconds ago. Everyone knows computers can count to awesomely huge numbers. But you need to give them enough bits to do that. Unix time is measured by a 32-bit number, which can count up to 232-1, or 4,294,967,295 (in binary, a 32-item string of 1s), which is enough seconds to count just over 136 years. But you sometimes want to measure things that happened in the past, so Unix time takes the first bit of the 32-bit number and makes it a sign. If the first bit is 0, the time is in the present. If it's 1, the time is the number of seconds before the beginning of the epoch. So this cuts the measurable period in half, to 68 years. Specifically, Unix time rolls over at 3:14:08 on 19 January 2038. The fix is simply to use a bigger number. Today, 64-bit numbers are no big deal, and they give you 263-1 (9,223,372,036,854,775,807) seconds to work with in either direction. That's roughly 292 billion years, which is sufficient to measure most human-scale activities. So, knowing all this, and knowing that I was born in the first year of the Unix epoch, it wasn't difficult to figure out my "epoch" birth moment at 9:12 CDT this morning. But there's a catch. As I mentioned, computers count by 2s, not by 10s, so this entire post is a lie. I'm not 1.5 Gs old; I'm just over 1,500,000,000 seconds old. 1.5 x 230 (i.e., 1.5 giga anything) is 1,610,612,736, so I won't be 1.5 Gs old until Unix moment 1,631,995,056, which will be 18 September 2021 at 19:57:36 UTC. So check back in three and a half years. I'm sure I'll have another post about this nonsense then. The ruling may have far-reaching implications for other sharing economy companies, including Uber Technologies Inc., whose business models are built on pairing customers with products and services through apps and typically avoid the costs of traditional employment. U.S. Magistrate Judge Jacqueline Scott Corley in San Francisco concluded Thursday, in a first-of-its-kind ruling, that a gig-economy driver doesn't qualify for the protections of employees under California law. Charlotte Garden, an associate law professor at Seattle University, said Corley's decision is a “doubly big” win for GrubHub due to California's relatively high standard for establishing workers as independent contractors. We can expect multiple lawsuits in other Federal circuits any day now. File that under "B" for "Bad OpSec"
Nearly all the files are classified, some as "top secret" or "AUSTEO", which means they are to be seen by Australian eyes only. This illustrates a fundamental misunderstanding of the threat. The Australian Broadcasting Corp gets their funding from the government, and was very restrained in what they published. They waited months before publishing as they coordinated with the Australian government. They allowed the government to secure the files, and then returned them. From the government's perspective, they were the best possible media outlet to receive this information. If the government makes it illegal for the Australian press to publish this sort of material, the next time it will be sent to the BBC, the Guardian, the New York Times, or Wikileaks. And since people no longer read their news from newspapers sold in stores but on the Internet, the result will be just as many people reading the stories with far fewer redactions. In all, it's a reminder of the security adage that no security system can completely protect against human stupidity. Well, that does not sound good. And it's not. Apparently thieves have found that American mobile phone providers are unusually helpful when it comes time to steal mobile phone numbers (called "SIM hijacking") or to port those numbers to third-party mobile providers. In both cases, the thieves now have a way to bypass any three-factor authentication (TFA) you may have set up with, for example, your bank. T-Mobile at least offers a service called "Port Authentication" which lets you set up a 6- to 16-digit PIN that you must have to make any changes to your account—like, for example, getting a new SIM. After getting the text alert, and validating it with trusted online sources, I immediately called 611 and set up port authentication. Lock your phone all the time, with something very hard to subvert, like a strong password. If you must use a convenience feature like iris or fingerprint authentication, make sure the phone still requires a password on reboot. Set your phone up so that it doesn't display the contents of texts or IMs when your phone is locked. Encrypt your phone, so that even if all your other security is bypassed, you won't be stuck. Seriously, this all costs you nothing and can save you a fortune.